Since last month there has been a continued upswing in the number of properties coming to market in east central Scotland compared to last year, which is a positive sign for buyers. According to the ESPC, the number of new homes brought to market between the months of May and July increased by 3.4% annually. This is a slight increase compared to last month, when the annual increase in new homes being listed was 3.2%. Average selling prices rose by 4.3% to £247,157 compared to the same period last year. 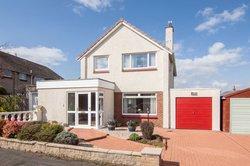 In Edinburgh, average selling prices increased by 4.8% compared to last year, to £267,343. The number of properties sold in east central Scotland decreased by 9.9% in this period compared to last year, more of a reflection of a decrease in properties coming to market in previous years rather than a decrease in buyer demand. The percentage of sales achieving or exceeding their Home Report valuation rose to 82.3% between May and July 2018, compared to 78.9% for the same timeframe last year, and the median time to sell across east central Scotland was one day slower than last year, with half of all properties going under offer within 17 days. Across Scotland, properties are on average selling for £9,000 more than their asking price, which is similar with the previous quarter, according to the latest quarterly house price report published by property portal, s1homes. This quarter, the average selling price has slightly increased by 0.25% to £175,967 while the average asking price remains steady at around the £166,000 mark since the last three quarters. The average asking price increased across 10 of the 13 regions this quarter, with East Lothian seeing the largest increase of 6% to £232,861. 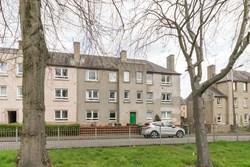 The biggest drop was in East Renfrewshire where the average asking price fell by 3% to £256,031. House prices per square metre have risen fastest in west and central Scotland, according to new research by the Bank of Scotland which looks at how much space house buyers get for their money in different parts of the country. Larkhall and Lanark have both seen the largest house price growth per square metre over the last five years at 33%, an average price of £1,163 and £1,184 respectively, followed by Dalkeith, Bathgate and Hamilton at 32%. 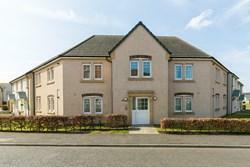 However traditional housing hotspots in the east of Scotland remain most expensive. 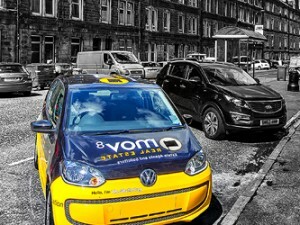 Of the top 10 most expensive, six were in Edinburgh and the Lothians with the remaining four in Aberdeenshire. Edinburgh was top at £2,669 per square metre, with Linlithgow in West Lothian second on £2,076 per square metre and Stonehaven, Aberdeenshire, at £2,039 per square metre. Grangemouth in Stirlingshire is the least expensive town in Scotland with an average price of £1,016 per square metre, followed by Bellshill in North Lanarkshire (£1,030 per square metre). Edinburgh is the only city or town in Scotland to have an average house price per square metre above the British average of £2,342. The average price per square metre in Scotland is just under £1,600, while in Greater London it is more than £5,000. On 2 August 2018, the Bank of England raised the interest rate for only the second time in a decade. 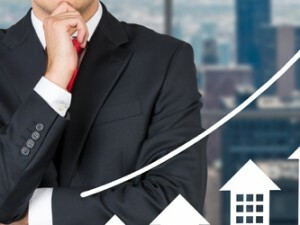 Interest rates have increased from 0.5% to 0.75%, the highest the rate has been since March 2009, however it is unlikely that a 0.25% increase will make any significant difference in the property market. In east central Scotland, demand is still outweighing supply and mortgage products being priced slightly higher is not going to impact on this any time soon. 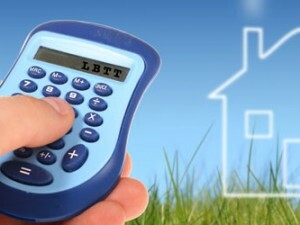 Read more about the interest rate rise in our article here. 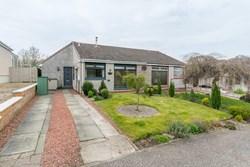 In much of Scotland, and in particular in the east of Scotland, it remains a seller’s market. Demand for property remains high and a continuing shortage of properties coming to the market is causing continued increases in property prices. However, this seller’s market is causing new challenges, ironically for property sellers. Buyers are increasingly reluctant to put their own home on the market until they have ‘secured’ the property that they want to move to. Such an Offer is conditional upon something that’s completely out of the control of our client and us acting as their estate agent and solicitor. However, a number of sellers are content to accept Offers on this basis where the price being offered by that buyer is attractive. We are also seeing an increasing proportion of sales falling through, often at the last minute. Buyers are increasingly struggling to secure finance on their purchases. Buyers’ solicitors are unable to conclude Missives until they have loan papers from the buyer’s lender. So, if there is a delay in mortgage papers coming through, missives are often concluding the day before, or even the day of, settlement. That Settlement Date (or Date of Entry) is regularly being pushed-back for the same reason. This could partly be because buyers are unaware that, if they offer an amount in excess of the Home Report valuation, their mortgage will be restricted to being a percentage of the Home Report valuation and not the full purchase price. This leaves them to have to fund the proportion over the Home Report valuation entirely from their own cash. It may also be that buyers are increasingly purchasing on the basis of a website telling them that they can borrow a certain amount rather than seeking professional, independent mortgage advice. 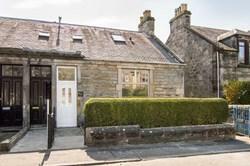 Buyers in Scotland are often represented by a solicitor from an early stage in the process. This can make it particularly difficult for us, when we are acting as estate agents, to be able to qualify the buyer and really drill down into their financial position. We have to rely on assurances from the solicitor about their client’s finance situation. As a result, we are taking an increasingly tough line on advising our selling clients that they should be insisting on knowing more about the strength of the offer rather than simply looking to the highest offer received at a Closing Date. You can also now instantly book a free valuation appointment, online, by following this link. 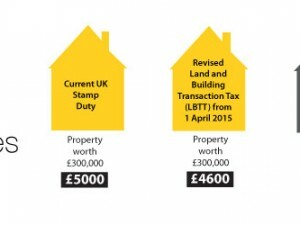 Goodbye Stamp Duty, Hello Snappily-Titled Land and Buildings Transaction Tax. Roll On 2015!